Sinatra 100 – Channel 5, Christmas Day! 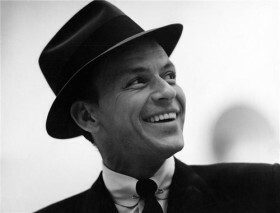 A show celebrating Frank Sinatra’s 100th birthday, ‘Sinatra 100’, will be shown in the UK on Channel 5 at 11:05pm on Christmas Day! The show includes performances and tributes from some of music’s biggest stars, including 17-time Grammy winner Tony Bennett, Alicia Keys, John Legend and Maroon 5’s Adam Levine. There are also performances for us country fans to look forward to! Don’t miss the stunning performance of ‘Come Fly With Me’ by C2C 2016 headliner Carrie Underwood, as well as Zac Brown performing ‘The Way You Look Tonight’. Also, a certain Mr. Garth Brooks makes an appearance! What better way to end your Christmas Day? Channel 5, 11:05pm…don’t miss it!